Gaming is big in Flanders. In recent years, various organizations have recognized Belgium’s northern region as a new Valhalla for creative industries – especially for the development of online and mobile games. Wim Sohier, Science & Technology Counselor for Flanders Investment & Trade (FIT) in San Francisco, zoomed in on the matter on LinkedIn by sharing 5 facts about Flanders’ gaming industry that will have you ‘pwning’ your competitors in no time. Belgium has a population of little over 11 million people, around 6 million of which live in Flanders. But don’t let population size fool you, the local gaming market is comparatively big. According to marketing intelligence agency Newzo, Belgium is home to 4.2 million active gamers, who will spend an estimated USD 332 million on gaming in 2018. As such, the country ranks #31 on the list of the world’s largest games markets. a variety of devices are used for gaming in Flanders, the most popular being mobile (29%), desktop (24%), tablet (18%) and TV-connected console (13%). While this domestic market of loyal gamers is impressive considering Belgium’s small size, it’s the country’s export capacities that truly stand out. As Belgium’s northern region, Flanders is part of the world’s 3rd-most open economy according to the 2017 KOF Index of Globalization. It should therefore come as no surprise that game studios in Flanders achieve export figures of up to 99% of their total revenues, utilizing the local economic infrastructure for international trade to the fullest. PXL-MAD School of Arts in Hasselt. With around 850 students enrolling every year, Howest’s Digital Arts and Entertainment curriculum provides the biggest gaming education program in the Benelux. International institute The Rookies even elected the bachelor program as the world’s #1 game design and development curriculum in 2017, surpassing the academic offerings of top gaming nations such as the US, the UK and Sweden. Several sector-dedicated incubators help new game developers or middleware providers find their feet in Flanders. To give just three examples: C-Mine (Genk), The Level (Kortrijk) and De Hoorn (Leuven) provide ambitious game studios with affordable office space, administrative services, development tools, access to talent and gaming education programs, and the like. The government of Flanders also actively supports the gaming industry on a financial level. Starting from 2018, for example, the Flanders Audiovisual Fund (VAF) will be providing EUR 1.73 million in subsidies in the coming 4 years. This amount will be funneled entirely into the Game Fund to further support the development of games in the region. The Flanders Audiovisual Fund is only one of various examples of grants and incentives for new and innovative businesses in Flanders. Novel technologies – such as virtual and augmented reality – are changing the face of the gaming industry. Luckily, Flanders provides a haven for companies trying to find their way in today’s digital maze. The region unites industrial, academic and governmental players for cross-sector collaborative projects that help shape digital society, and the gaming industry with it. Imec, Flanders’ research center for nano- and digital technology, has proven to be a particularly innovative force in these fields. Even more, many studios and developers in Flanders are successfully putting these new trends and developments into practice. A recent example is Space Pirate Trainer, one of the most commercially successful VR games to date, which was developed by I-Illusions from Galmaarden, Flanders. Furthermore, the region boasts particular strengths in graphics engineering. Ghent-based Graphine Software, for example, is taking the international scene by storm. The company’s advanced texture streaming software has been used to boost realism in the Emmy-nominated VR experience for Netflix’s hit series ‘Stranger Things’. As a business, game development has professionalized rapidly over the past several years. In Flanders, various organizations have taken the lead in representing the young and dynamic industry and its professionals. FLEGA, for instance, is Flanders’ official games association. It unites and supports all individuals and companies active in or related to the gaming industry in Flanders: from developers and service providers to researchers, resellers, local publishers and educational institutes. Meanwhile, Flanders DC represents the region’s creative industry as a whole. Short for Flanders District of Creativity, this organization aims to enhance the competitiveness of creative businesses, such as game studios, by boosting entrepreneurship, research and internationalization. And Flanders’ efforts have clearly been paying off, as various game studios are taking their success to new international heights. In 2017, for example, Larian Studios launched its most ambitious game ever: Original Sin II. In 3 years’ time, the Flanders-based firm developed the game with a team of 135 people who work at 4 production sites around the globe. 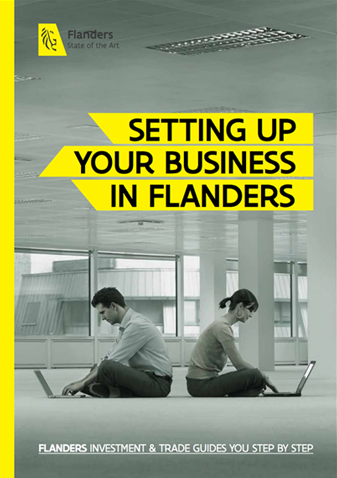 Find out more about Flanders’ digital and creative industries.